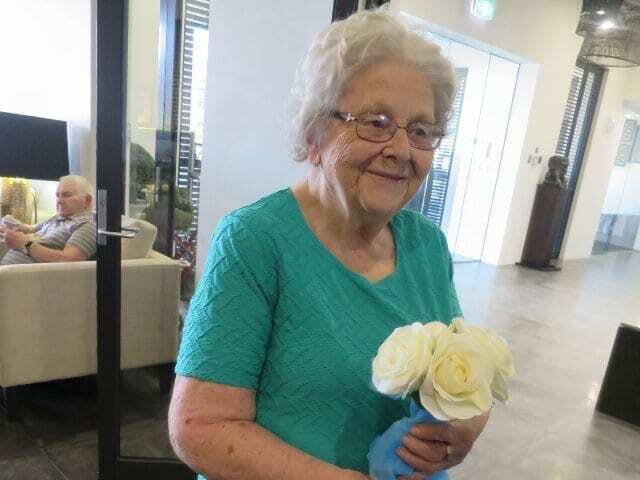 Lifestyle Assistant Ursula got married on Australia Day, much to the delight of the Keysborough Community who planned a bridal shower for Ursula in the lead up. They worked diligently (and secretly) to arrange this for the much-loved Ursula. 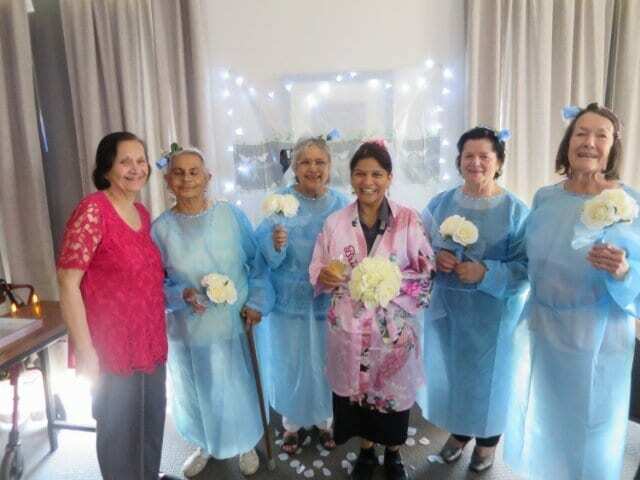 First of all preparing and decorating a wedding cake, bridesmaid’s gowns complete with blue diamantes and matching blue bouquets wrapped in organza ribbon. Clients gifted the happy couple with champagne and chocolates which they wanted the bride and groom to enjoy on their wedding night. 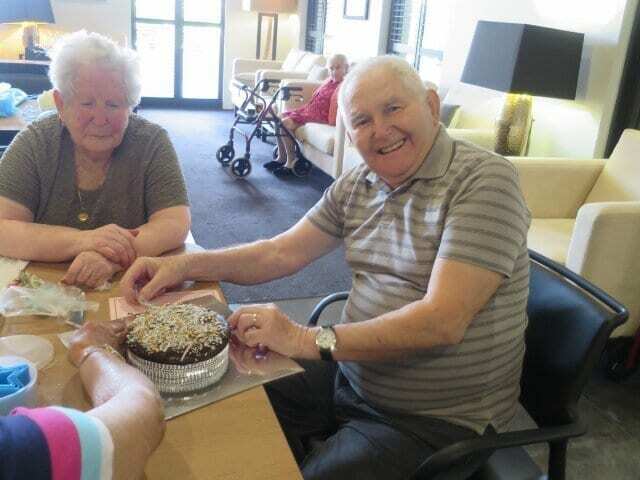 They also selected a beautiful poem which they had framed for Ursula and new husband Peter to treasure. Fitting in with the theme, the lounge was set up to look like a wedding reception – a hard task without Ursula knowing. The look on her face was priceless when she discovered what had been set up and her four ‘bridesmaids’ all lined up. As the champagne rolled out and the cake was cut up, the laughter continued as Ursula threw her bouquet. Team members were pushing each other out of the way to secure the bouquet for themselves. Then, the mark of the century was made and clients erupted into applause. 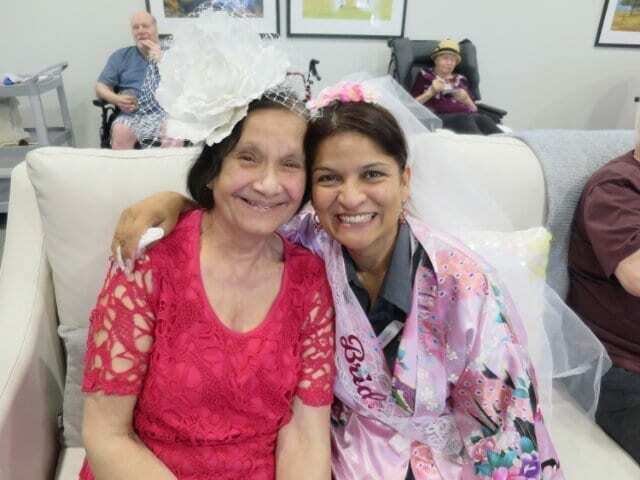 An added special part of the day is the fact that Thelma, a client, comes from the same town in India that Ursula is from. Thelma and Ursula have a strong bond and Thelma posed in front of the camera pretending to be the mother of the bride, a proud moment for the two of them. When Thelma arrived here she was quickly put at ease to discover Ursula came from her own town.